-so why do you think it is cool to be poor? -and this man just had a fling with you, so why did you get pregnant? -who will invest if a country has a lot of crime? -why did Allah destroy my country with hurricane Katrina after I invaded Iraq? 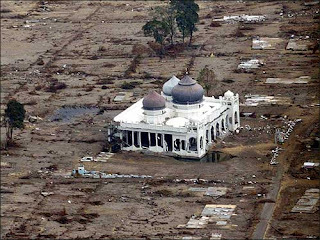 Did you see the Tsunami in Indonesia, Japan? -so how can you rule the world? -and if you invade it you become cursed, don’t you know about the Mongols? -so can you the Jews and Christians afford to die? -and how can you have democracy in America when you do not have fair elections? Who can provide you with rain if I hold it back? -when it is Christians they say "praise the lord"
-How can you trust a poor man with money?